Texas is full of surprises. Pavonetti Architecture has created a beautiful home design that is heavily inspired by the many barns and stables found throughout the Lone Star state's rural areas. The Garden St Home's sophisticated, yet rustic home design uses a variety of materials and techniques to pay homage to the long farming history that has sustained Texas to date. Located in Austin, the home’s exterior form is unmistakably barn-inspired with natural-tone cedar siding and a markedly pitched roof. Framing the building with black steel achieves a local Texan vernacular that’s both modern and warm. High ceilings and large windows help the home’s bucolic exterior flow smoothly throughout the interior. 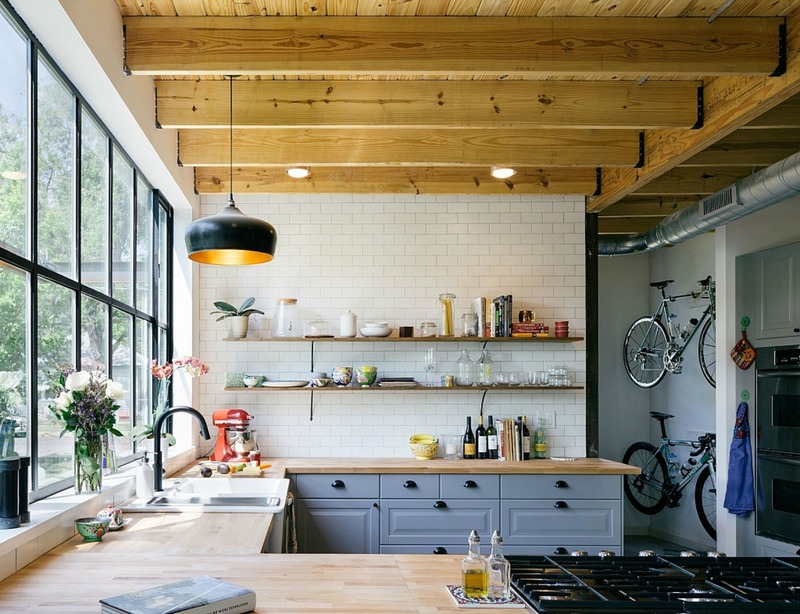 Inside, exposed wood and large steel-framed windows create an open, airy space with just a touch of industrial chic thanks to concrete flooring and a large handmade steel staircase. The interior walls are a soothing shade of white, and serve as the perfect backdrop for the minimal furniture. Multiple large windows enhance the floorplan’s openness, drenching the interior space with tons of natural light during the day. Located in Austin, the exterior form is unmistakably barn-inspired, with natural-tone cedar siding and a dramatic pitched roof. Framing the building with black steel achieves a local Texan vernacular that's both modern and warm. High ceilings and large windows help the home's bucolic exterior flow smoothly into the interior. 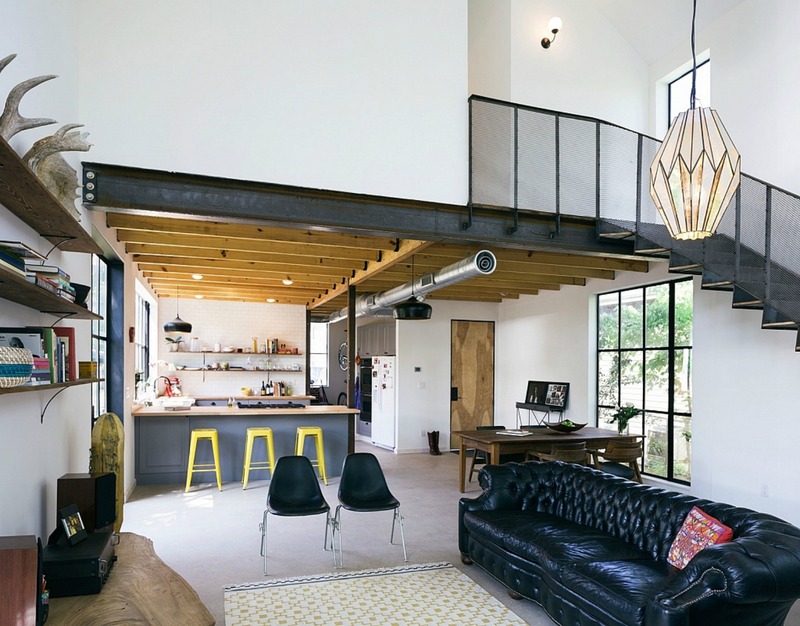 Inside, exposed wood and large steel windows create an open, airy space with just a touch of industrial chic thanks to concrete flooring and a large handmade steel staircase. The interior walls are a soothing shade of white, which serves as the perfect backdrop for the minimal furniture. Multiple large windows enhance the floorplan's openness, drenching the interior with tons of natural light during the day. The large steel staircase is the centerpiece of the home's interior. The second floor has beautiful hard wood floors throughout. The home is a gorgeous blend of both rustic and contemporary. Pavonetti Architecture Garden State Home.